Impressive, solid glass base in turquoise and white base! This clean lined lamp is of fine quality materials and construction with designer appeal. White linen shade, crystal ball finial, and crystal base are striking contrasts to the glass body of the lamp. Save 12% on two or more lamps. Type the code SCORE2 at the promotional code space at checkout, after shipping address. 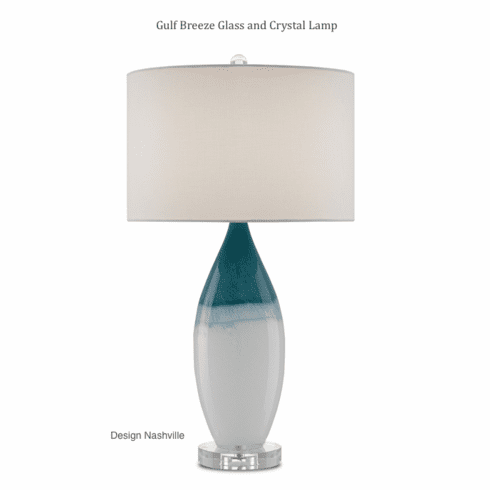 We are happy to provide complimentary shipping of this impressive lamp!